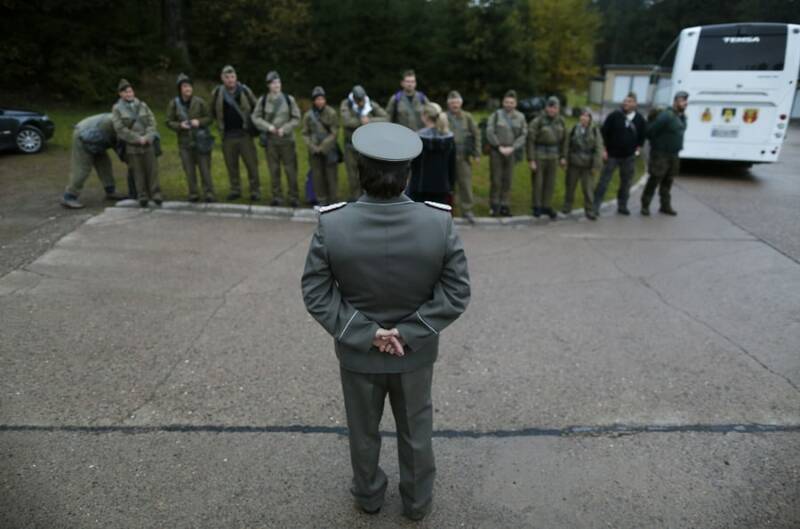 Thomas Krueger, dressed as a Nationale Volksarmee (NVA) major, speaks to a group of people arriving to spend the night at the Bunker Museum in Rennsteighoehe, near the German city of Ilmenau. 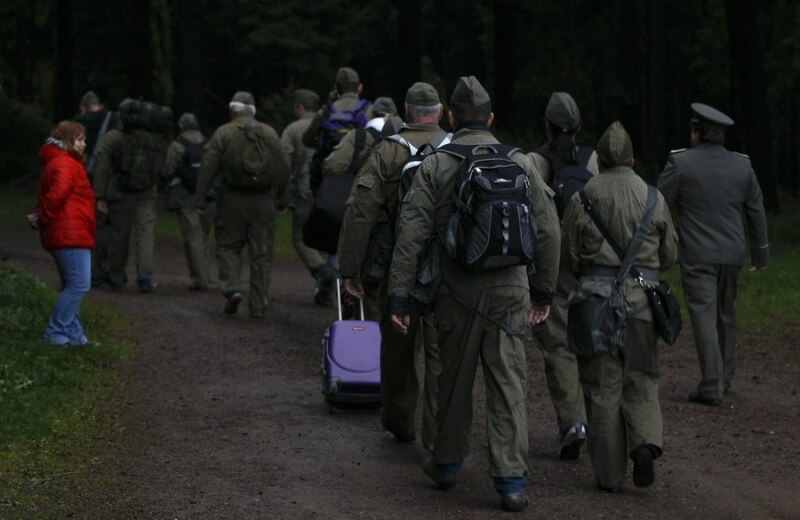 Deep in a forest 200 miles southwest of Berlin, tourists are being invited to take part in a unique "reality experience" that will transport them back in time to communist East Germany. 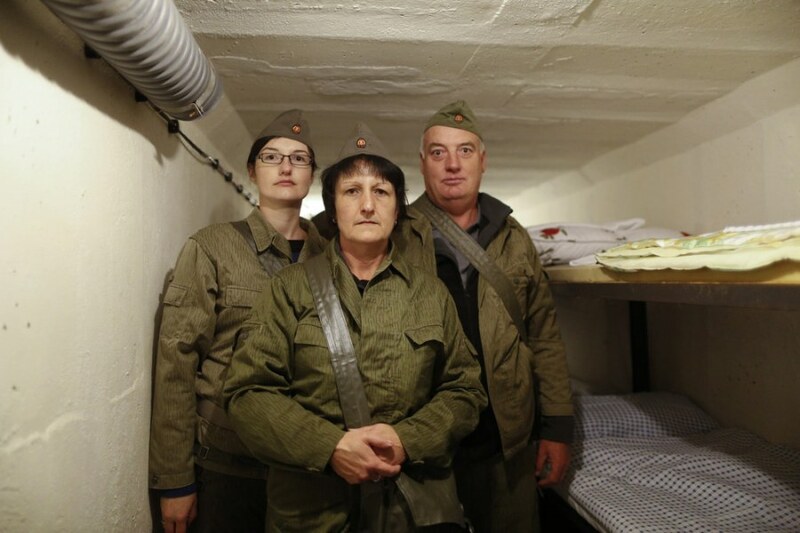 For $150, guests can slip into a Nationale Volksarmee (NVA) soldier's uniform and spend the night in a former military bunker, complete with uncomfortable beds, stodgy food and the opportunity to be ordered around by their 'officer' hosts. The Hoppmann family in the bunker's sleeping quarters. Thomas Krueger waits outside the bunker, dressed as an NVA major. 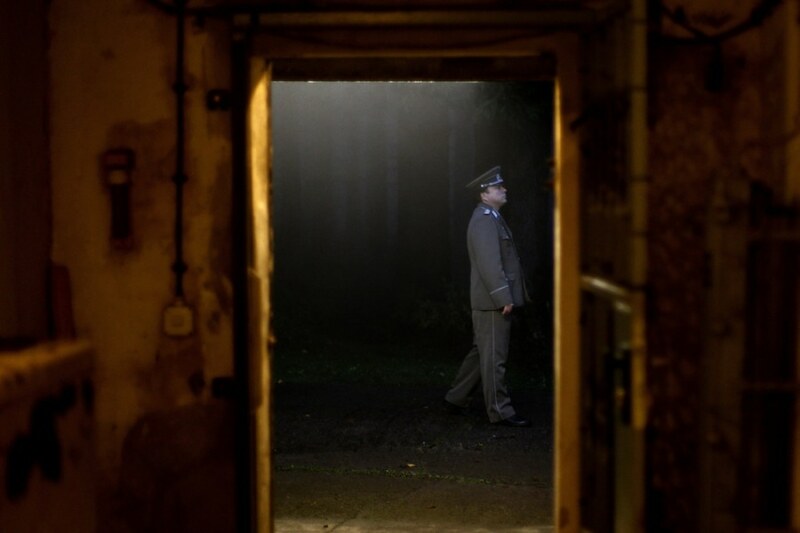 Marco, dressed as an NVA officer, walks inside the bunker. 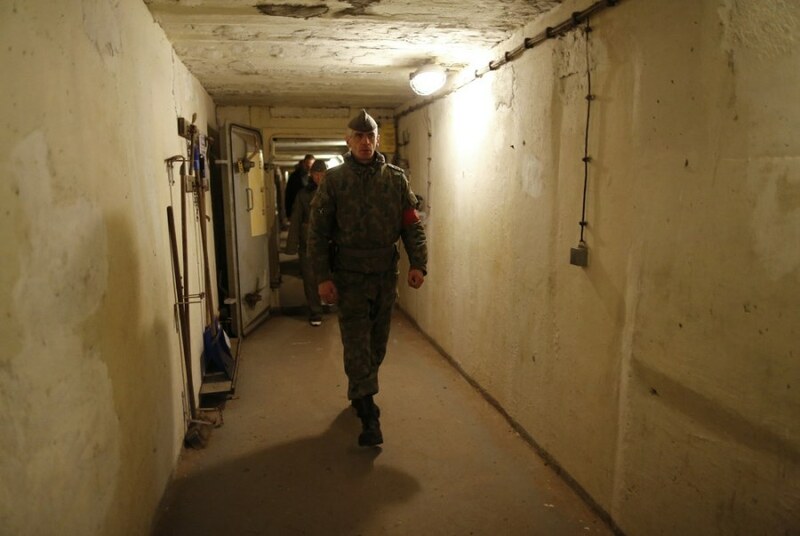 The 38,750 square-foot bunker was built in the 1970s and run by the dreaded Stasi secret police. Its purpose was to enable a military elite to run a command center in the event of an attack that decimated the local population. After making their own bunk beds, female guests peel and chop potatoes for supper while the men stand guard and prepare a barbecue of spicy local sausages. Female guests prepare a salad while the men stand guard. Tins of food from the communist era, including such delicacies as a can of wholemeal bread, pork goulash, tomato sauce and sausages. 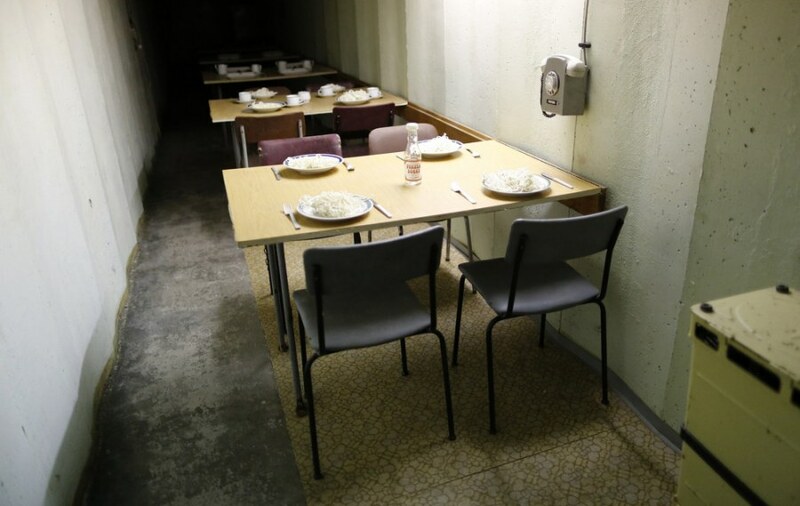 "Dinner a la NVA": Food is served in the dining room. 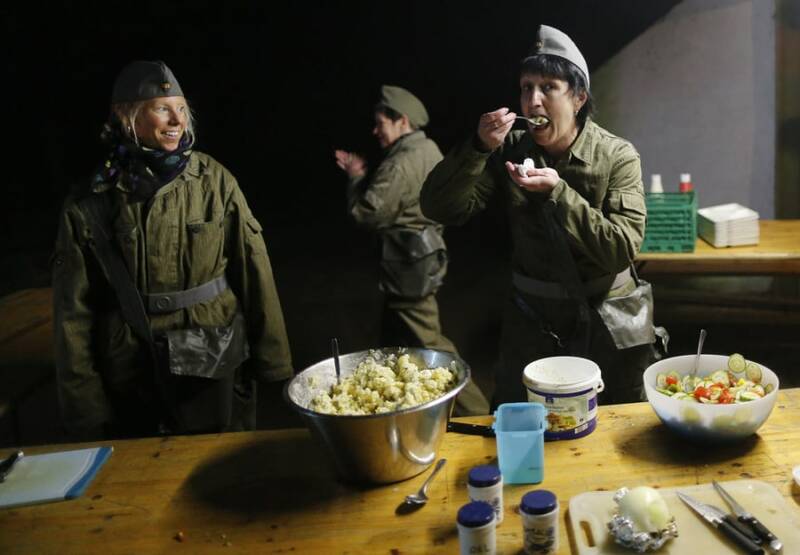 The tourist soldiers are allowed to enjoy a treat after dark — beer, vodka and an east German sparkling wine called Rotkaeppchen. On a recent visit, Reuters photographer Ina Fassbender found that most of her fellow guests were Ossis (former Easterners) themselves, and many of them had spent a part of their youth as conscripts in the NVA. "Demand is strong. It is light-hearted and not meant to be too serious but people come to experience history and that is what they get," says Manuel Ebert, who works at the hotel which runs the experience. Guests walk towards the bunker. They were told that they would have to trek for 18 miles, but in reality the bunker was only 100 yards away. 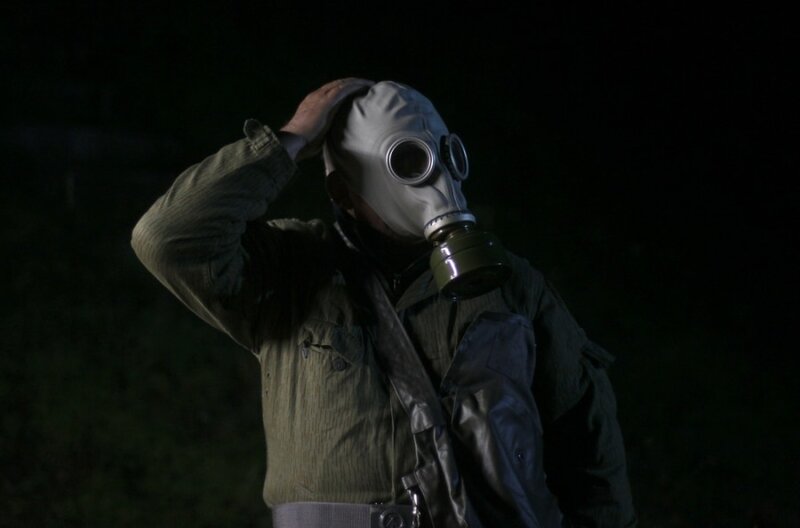 66-year-old Hans-Georg Tiede tries on a gas mask. He made the trip with his two sons, who arranged it for him as a birthday treat. 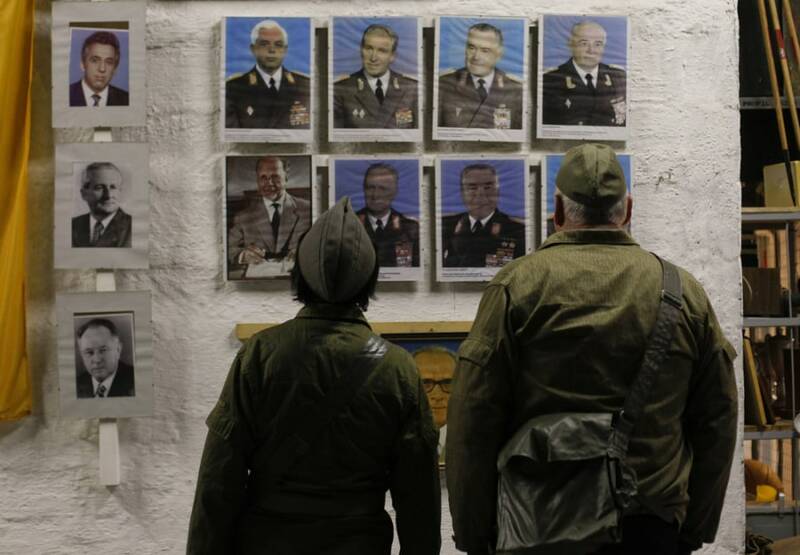 Kalashnikov assault rifles, hand grenades, decontamination showers and oxygen supplies are on display in the bunker, along with old photos of East German military figures. Beds in the dormitory were small and uncomfortable, according to photographer Ina Fassbender. EDITOR'S NOTE: Pictures taken on Oct. 12, 2013 and made available to NBC News today.